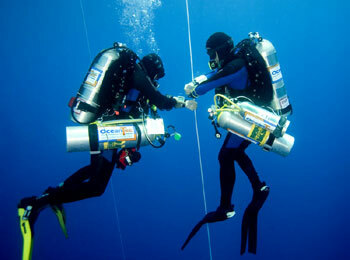 Ocean Tec, supplier of top quality recreational and technical diving breathing gasses to Ocean College, custom blended heliox to the Recompression Chamber for specialised hyperbaric treatments and emergency oxygen for Sharms SAR and many local diving centres, is now also providing complete underwater support in the form of Oceans Angels. 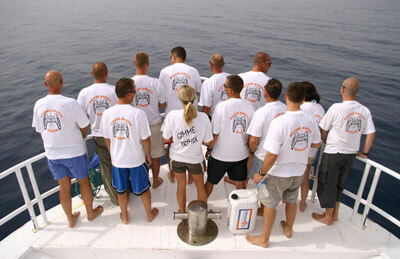 Comprised of local Diving Instructors and technical divers, Oceans Angels has supplied deep, intermediate, shallow and surface support for several events including Leigh Cunningham and Mark Andrews World Record Deepest Wreck Dive to 205 metres and Nina Preisners Deppest Woman Wreck Dive to 159 metres on the long lost wreck of The Jolande at Ras Mohamed. Oceans Angels were called upon to provide deep and intermediate support during Sharm El Sheikhs Apnea Week which saw a new World Record set by Carlos Coste in the variable weight free diving category to an astounding 140 metres! Carlos was so impressed with the professionalism of Oceans Angels that hes requested exactly the same team to be present when he returns to attempt a new World Record in the ultimate No Limits category of free diving. his 7th world record ! 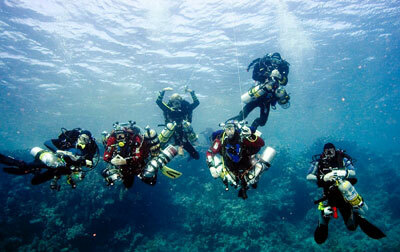 Oceans Angels also stood by as a further two attempts on world records were made during the Apnea Week. Carlos Coste attempted to break the Free Immersion record by diving to a depth of 107 metres but was unsuccessful due to a technicality. An attempt by New Zealander William Trubridge to 81 metres in the Constant Weight without fins category, where Oceans Angels stood by at 85 metres, failed due to his blacking out upon almost reaching the surface. Pictured with Carlos Coste are the original Oceans Angels. Dave Summerfield on the left, Chad Clark, Martin Baker, Tim Pickard and John Kean. Oceans Angels support team with Leigh Cunningham and Mark Andrews.